Beauty shots of the 2019 Dodge Challenger SRT Hellcat Houndstooth Interior. Running Footage and beauty shots of the 2019 Dodge Challenger SRT Hellcat. The first annual Southwest Lifestyle Media Drive was held at Bondurant Racing School in Chandler, Arizona, where a panel of 18 automotive journalists evaluated cars, crossovers, SUVs and trucks in four categories. Jurors ranked individual vehicles in categories related to fuel efficiency, performance, comfort, storage solutions and safety systems. At the end of the day, FCA took home two of the four awards. 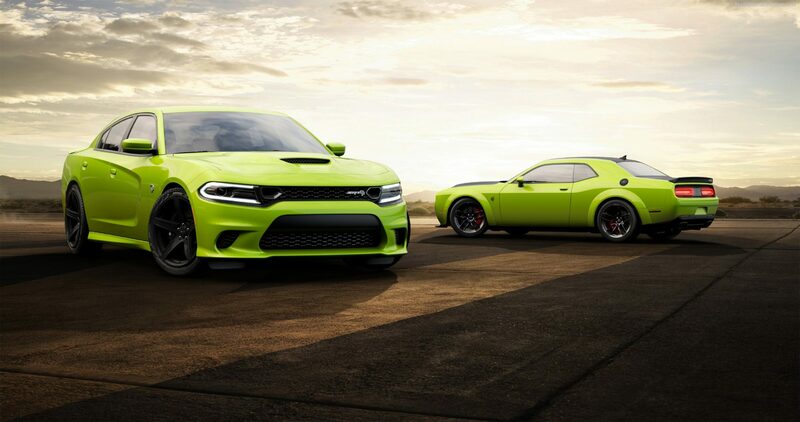 Dodge claims it’s 797-horsepower 2019 Challenger SRT Hellcat Redeye can post a 10.8-second quarter-mile time, but the only way to find out for sure was to test the car (and the claim) ourselves. Watch the video to see if we can prove it.